The charity Interpal can no longer receive donations by credit card. This severely curtails the organisation’s ability to fundraise directly through its website. However, Interpal has been designated as a terrorist organisation by the US Department of the Treasury since 2003, when it described Interpal as “a principal charity utilized to hide the flow of money to Hamas” and said: “Reporting indicates it is the conduit through which money flows to Hamas from other charities”. 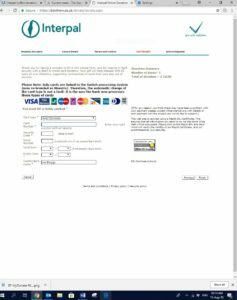 UK Lawyers for Israel (UKLFI) wrote to the credit card companies pointing out that Interpal is designated as a foreign terrorist organization by the US , as well as in Canada and Australia. Interpal’s credit card donations section has now been pulled down from its website. This follows BT’s MyDonate pulling out from offering Interpal a fundraising service in August. The US has designated Interpal as a Specially Designated Global Terrorist which means that any of its assets in the US must be frozen and transactions with all US entities and their subsidiaries are prohibited. Breach of the sanctions would risk severe civil and criminal penalties. 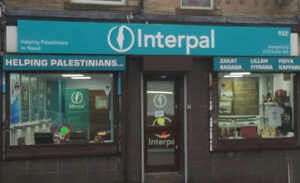 Interpal is not designated as a terror organisation in the UK and the Charity Commission allows Interpal to operate in the UK legally.